BANGKOK — The death of a former member of the Thai navy's elite SEAL during an underwater swim in the partly flooded cave where a dozen boys and their soccer coach are trapped struck a particularly deep chord with Thais, because he was a volunteer on a humanitarian mission that has riveted the nation for two weeks. 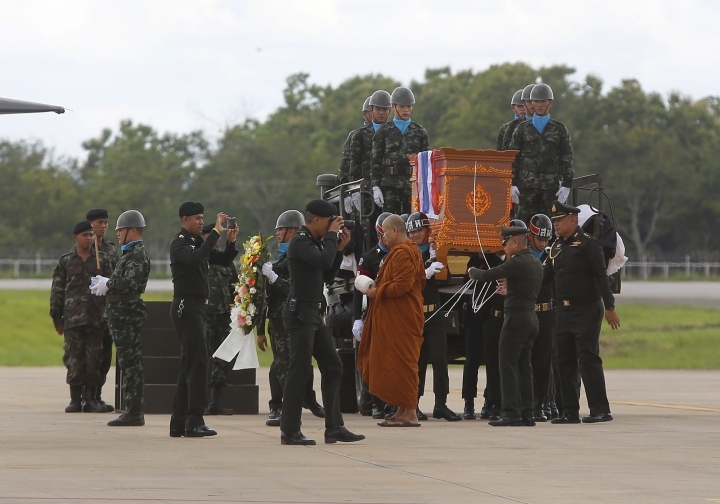 And as is the case with elite military units all over the world, Thailand's SEALs were quick to pay their own heartfelt tribute to their fallen friend, former Petty Officer 1st Class Saman Gunan. "See you in Chiang Rai," was the can-do salutation in a memorial message from other retired SEALs that was forwarded to their buddies in active service at the Tham Luang Nang Non cave in northern Thailand on Friday. "The determination and dedication of Saman will always be in all of our frogmen hearts. Today Saman rests. We will complete this mission, just as Saman intended," they vowed, signing off with a battle cheer adopted from the U.S. Navy: "Hooyah Hooyah Hooyah." The statement said that Saman was a member of their 30th class who resigned to work as a security officer at Bangkok's Suvarnabhumi Airport since 2006. "He is a SEAL member who had knowledge, skill, was an athletic triathlon, and enjoyed adventure sports," it said. "Even when he left the department, he still loved and bonded with his SEAL team brothers, no matter what activity the SEAL team held, Saman would always participate in activities, right until his last minute." "Saman left us while working with his SEAL team brothers at a time where all frogmen put their arms around each other and move forward to complete the mission that is set." 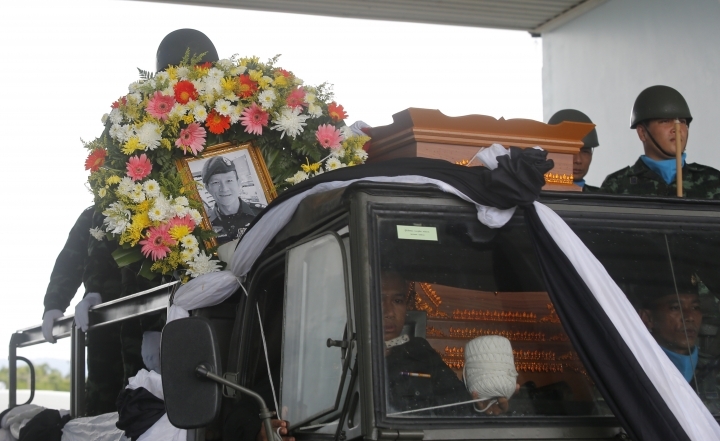 SEAL commander Rear Adm. Arpakorn Yookongkaew separately explained the ethic driving their mission and why Saman's death would not deter them from their course. "We have been trained to always be dealing with risks," he said. "Therefore, whether it's sickness or death, they are things that we are always facing because that's how we're trained. I want to confirm that we have never lost morale, and are still in high spirits. We will not let our fallen brother die in vain." Arpakorn told reporters Saman's role was to place oxygen canisters on the route within the cave the active SEALs are using to reach the trapped boys. "When Saman placed the canisters he was on his way back and while he was returning he had lost consciousness. His buddy partner tried to give him first aid but when those efforts did not succeed he was brought back to chamber three," referring to part of the cave that has become a staging area for the operation. "And when he reached chamber three, we tried to care for him some more but he lost consciousness and never regained it so we sent him to the hospital," said Arpakorn. Saman was 38 and is survived by his wife, his colleagues said. He also left behind a selfie video taken on June 30, just before boarding the navy plane that took him north for his final mission. "Loaded all my stuff on to the plane. I'm ready to fly to Chiang Rai," he says, while also noting who else was on the flight. "See you at Tham Luang in Chiang Rai," says Saman. "May good luck be on our side to bring the boys back home."